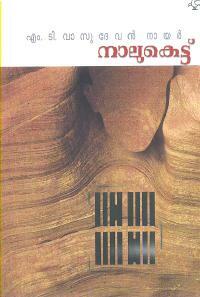 It is undoubtedly a novel that Malayalam literature is proud of. "One day I'll meet him...I'll seek revenge on him. I'll squeeze his neck and ask him: 'Isn't it you, isn't it you who did that...'" These words enunciated by Appunni mark the beginning of Naalukettu, one of the milestone novels in Malayalam. Written by M.T.Vasudevan Nair, a versatile writer in Malayalam literature, the novel enables the readers to decipher the hidden rule of shadows in one's life. The story revolves around Appunni, who is the quasi divine figure. The author has made a wonderful depiction of the events in his life on the socio-political backdrop of Kerala. The plot is taking place at a time when casteism and feudalism were having a deep impact on the lives of the people. Appunni, being born to Kondunny Nair and Parukkutty, undergoes pathetic experiences in life. One of the major causes for this issue was his mother's expulsion from her ancestral home; another being his father's untimely death. In the beginning, we obtain a sudden impression that Saithalikkutty, who killed his father is a villain. Simultaneously we are able to change this. Through Muthachi, Appunni knows about the ancestral home and later, visits the same. Even though he gets insulted by most of his relatives, his grandmother always expressed her deep love for him. The relation between Appunni and Ammini turns incestuous. The story gains momentum when Appunni visits his ancestral home and a major twist comes when he leaves his own home suspecting his mother. A heart-touching scene which reflects the basic element of mother-son relationship is when she sends him money to pay his examination fees. Again, a profound student-teacher relationship is visible when his master offers him money to go to his workplace. Naalukettu is about Appunni and his journey of life. It is a novel which turns to a true history of the lives of the people.